Next on the Glossier review list is Generation G, their laidback matte lipstick. There are six shades but I’m keeping my fingers crossed for more… Which one is your handbag sidekick? Just placed an order of a few new Glossier releases so that video will be coming soon! Rings – Purchased in Copenhagen 8 years ago, sorry! Love the way you present your thoughts. Super succinct and peaceful. So glad I found your channel! First off, I want to point out that your formatting is excellent and a real pleasure to watch and I’m glad to have found this little niche in YouTube. Secondly, however, I wished that you had tried on the shades. I am interested in seeing the layering process and pay off. Plus, I’m very interested in the shade “like,” but I have yet to find a good review of someone trying on the shade. I absolutely love the style of this video! My favorite review on the lipsticks :). I have fair skin with a cool undertone along with light lips, and I like slightly red or peachy lipsticks, so I’m torn between cake and leo. Do you have any suggestions that might help me figure out my choice? Great video! Glad I found your channel. absolutely love how you format your videos and how fun your script is!! Is there are coral shade? So the new bullets are less product ir hust smaller packaging? Nice video btw. One of the best edited beauty YouTube videos. Descriptive, concise, good lighting. I really love your video formats, editing, and aesthetic. And your very considering when stating your opinion instead of being plastic! 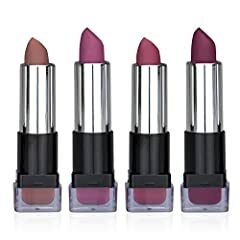 Crush and Jam are my favorites and some of my favorite lipsticks of all times. I can’t get Leo to show up on my lips at all (and I didn’t think they were that pigmented). Like definitely looks like my favourite! Dupes for these would be the alexis ren collab and the blotted lips by Colorpop. Theyre the same exact products in different packaging. 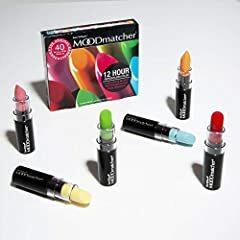 These sound very similar to the Colourpop Blotted Lips! Am I the only one who isn’t a huge fan of Glossier’s Generation G lipsticks? It clings on the dry patches on my lips (I exfoliate my lips every three days) and it still settle on the fine lines and cracks of my lips. But I do love Glossier’s Boy Brow and Balm Dotcom, maybe this product isn’t meant for my lips. Leo does not show up on my lips unfortunately… Love Jam and Zip. I think you stole my black kitty cat. Too cute while he’s coming to have a look what you’re doing!